I have nearly all Lee components in my reloading setup. 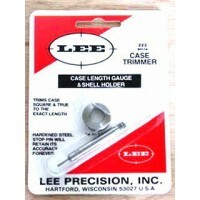 The only non-Lee parts are items that Lee doesn't make for that particular operation. I goofed and ordered an incorrect die set and FS Reloading took great care of me by exchanging and not charging me shipping for the re.. 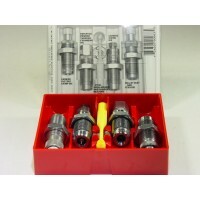 This kit includes the Lee 4 Hole Turret Press which features a proven design that utilizes turrets locked into a solid steel ring to make changing calibers quick and easy. 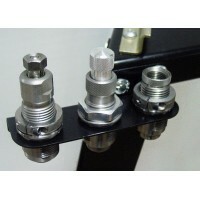 The powerful linkage allows even the largest magnum cases to be sized with minimal effort. The kit also includes a Lee Auto Drum Powder Measure, Lee Safety Scale, Lee Primer Pocket Cleaner, Cutter & Lock Stud and Chamfer Tool. 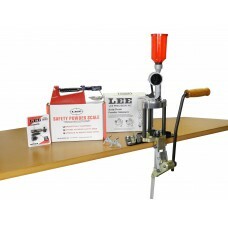 With the Lee Precision Deluxe 4-Hole Turret Press Kit you can produce a finished round with just four pulls of the lever. With a little experience, most reloaders find they can load over 200 rounds per hour using the 4-Hole Turret Press. 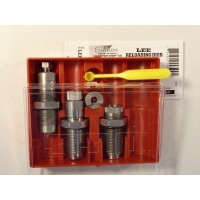 Order a set of Pistol Dies or Rifle Dies and a Case Length Gauge for your caliber to complete the kit. The press is large enough to handle even monster belted magnum rifle cases. When it is time to change calibers, simply lock in a new Lee Precision 4 Hole Turret Turret with another set of dies and begin loading within seconds. The auto index on the press is capable of loading cartridges with an overall length of 2.3125" or less. 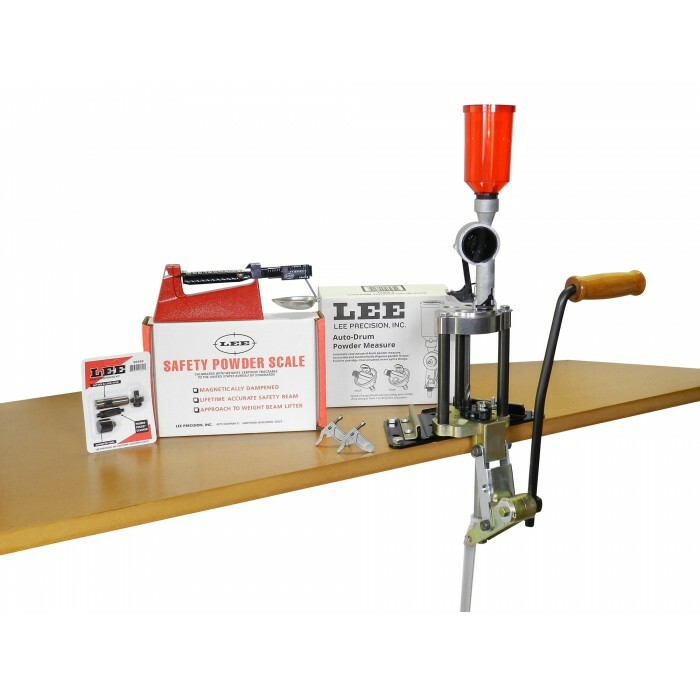 For loading longer cartridges, choose Lee's Classic Turret Press Kit which has the auto index feature with a longer stroke that is capable of loading cartridges with an overall length of 3.313" or less. For both presses anything longer than the above specs, requires the turret to be manually advanced. 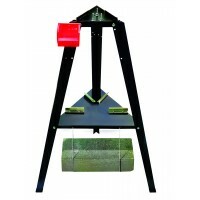 The Lee Turret Press is shown mounted to a Lee Bench Plate which is not included. 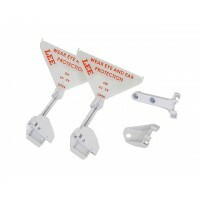 The Lee Precision Safety Primer Feed is a new priming system for small and large primers, never touc.. 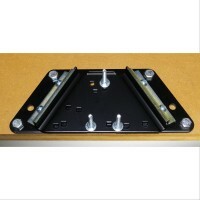 The Lee Precision Bench Plate allows press removal without unbolting from bench. Includes a steel ba.. 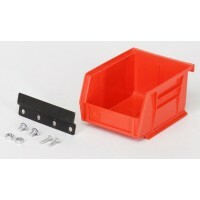 The Lee Precision Bin and Bracket is a sturdy steel bracket and parts bin. 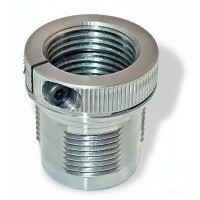 Includes fasteners to a.. 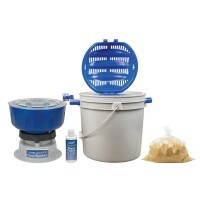 The Frankford Arsenal Quick-N-EZ Tumbler Kit provides a quick, easy, and economical means to clea..